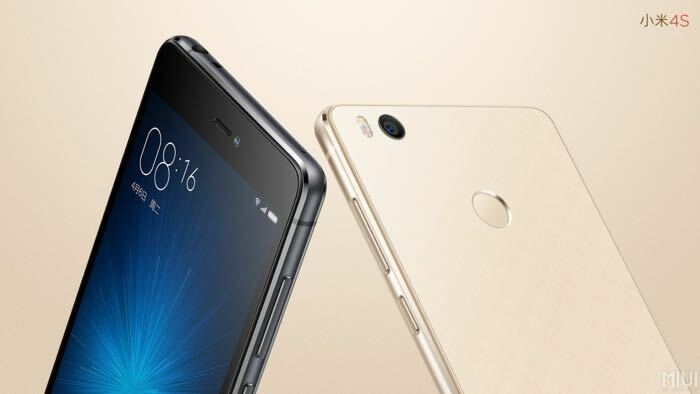 Xiaomi has added a new smartphone to its range, the Xiaomi Mi 4S and the handset comes with a 5 inch display with a Full HD resolution of 1920 x 1080 pixels. The Xiaomi Mi 4S is powered by a hexa core Qualcomm Snapdragon 808 processor and it also comes with 3GB of RAM. For storage there is 64GB built in, plus a microSD card slot for expansion and the device also comes with a fingerprint sensor and a 13 megapixel camera with a two tone LED flash. Other specifications on the handset include USB Type-C, a dual SIM card slot, a 3260 mAh battery, WiFi, Blutooth and 4G LTE. The Xiaomi Mi 4S will go on sale in China for about $260 and it will come in a range of colors, including black, white and pink.